The Montreal Canadiens are a professional ice hockey team based in Montreal, Quebec. They are members of the Atlantic Division of the Eastern Conference of the National Hockey League . 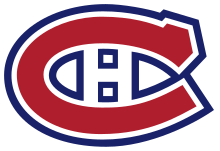 The Montreal Canadiens (French: Les Canadiens de Montréal) are a professional ice hockey team based in Montreal. They are members of the Atlantic Division of the Eastern Conference of the National Hockey League (NHL). The club's official name is le Club de hockey Canadien. The team is frequently referred to in English and French as the Habs. French nicknames for the team include Les Canadiens (or Le Canadien), Le Bleu-Blanc-Rouge, La Sainte-Flanelle, Le Tricolore, Les Glorieux (or Nos Glorieux), Les Habitants, Le CH and Le Grand Club. Founded in 1909, the Canadiens are the longest continuously operating professional ice hockey team worldwide, and the only existing NHL club to predate the founding of the NHL. One of the oldest North American professional sports franchises, the Canadiens' history predates that of every other Canadian franchise outside of football as well as every American franchise outside of baseball and the National Football League's Arizona Cardinals. The franchise is one of the "Original Six" teams, a description used for the teams that made up the NHL from 1942 until the 1967 expansion. The team's championship season in 1992–93 was the last time a Canadian team won the Stanley Cup. The Canadiens have won the Stanley Cup more times than any other franchise. They have won 24 championships, 22 of them since 1927, when NHL teams became the only ones to compete for the Stanley Cup. On a percentage basis, as of 2014, the franchise has won 25.3% of all Stanley Cup championships contested after the Challenge Cup era, making it the second most successful professional sports team of the traditional four major sports of Canada and the United States, behind only the Boston Celtics. Since 1996, the Canadiens have played their home games at Centre Bell, originally known as Centre Molson. The team previously played at the Montreal Forum which housed the team for seven decades and all but their first two Stanley Cup championships. Brendan Gallagher and Artturi Lehkonen are back for a rematch against Tomas Tatar in another game of NHL Threes with EA Sports. Canadiens players surf the net and read comments directed to them on Twitter, Reddit and Facebook. SUBSCRIBE: http://goha.bs/1qHH4pZ.